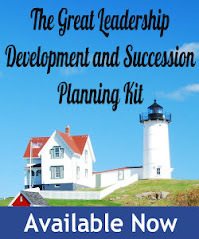 Great Leadership: Has Success Eluded You Because You Eluded Failure? Has Success Eluded You Because You Eluded Failure? Up until now, all of my guest posts have been written by authors, consultants, or practitioners, and most of them have their own blogs. I get a lot of offers from "novices", but I usually turn them down. I figure my readers are looking for a certain level of credibility. This one, from Tim Eyre, is an exception. Tim wrote me an email a while back offering to write a post on the topic of failure and innovation. I politely turned him down. A couple weeks later I wrote a post called "10 Mistakes Every Leaders Should Make Before They Die", and realized after I wrote it the email from Tim was one of the inspirations for the post. So I wrote him back and offered him a guest post shot- I thought it was the least I could do given I stole his idea. I challenged him to write a follow-up to my post. I have to admit I wasn't expecting much - but I was was surprised - and impressed - with his post. In fact, I'd say it's one of my best guest posts ever. I like his use of quotes, stories, and history to illustrate his points. It just goes to show you - leadership is a universal concept - and you don't have to be an "expert" to have a teachable point of view. Failure. Defeat. Collapse. Downfall. Rout. Wreck. Washout. And those are just the polite words. Why are we so hard on ourselves when we fail? I find myself thinking back to classes that I took in college. The hard classes -- the ones I had to struggle with -- were always the ones that taught me something. The easy classes, the ones where I made effortless As, were nice, but they didn't teach me a single thing. Yes, it's a cliché to say that we must learn from our failures. Worse than that, it sounds like a consolation prize. That's too bad, though, because the lessons we learn from failure are not consolation prizes -- they are gold. Here are a few reasons why I think we need to rethink failure -- not to be sweet and sensitive and make us all feel better, but because in the world of business, it's been my experience that failure is the first step (and often the second, third, fourth, and fifth steps) on the road to success. Why? 1. Sometimes failure isn't really a failure. It just looks like a failure because we are so focused on tiny details. Where one detail fails, often it leads to a breakthrough in another area. For example, it's hard to believe now that before 1980, there were no sticky notes in the United States. Sticky notes were invented purely by accident -- because an adhesive being developed by scientist Spencer Silver in a 3M laboratory wasn't as sticky as it needed to be. In fact, even after 3M began to see the potential value of the sticky note and started marketing it, post-its (then called "Press n' Peel") failed miserably in the market. A year later, after the product received a makeover and a new name ("Post-It Notes"), it began to really take off. But without that first failure, it never would have existed in the first place. 2. Willingness to fail often gives leaders the ability to take the risks they need to take in order to succeed. Over the last few years, a movement has developed in which business teachers and mentors urge students to be willing to "fail fast." Why? Not because failure is in and of itself such a wonderful thing -- but because willingness to fail removes the risk-averse inhibition that we all have. The slogan "fail fast" should really be replaced with "reward risktaking." In business, success often comes about because someone somewhere gambled that what looked like a long shot might actually work. Google Instant was just such a gamble (one more gamble from a company that loves to rush new products into the market and see how they do). To many users, Google Instant seemed like an unnecessary tweak on the same old search. Studies since the product was introduced, however, have shown that Google's advertisers are getting more clicks since Instant was launched, with costs-per-click dropping somewhat. Google probably could have lived without the increase in revenue that it will garner from Google Instant. But consider these two more dramatic examples. First, nearly a decade ago, Japan's Sharp seemed to be coming to the end of its life. But then-newly-promoted president Katsuhiko Machida decided the company should focus on what was then a new, unproven technology: flat-panel LCD television monitors. Not only did Machida's decision save the company, but it propelled Sharp -- at least for a while -- back into a leadership position in the technology industry. "Survival today means innovating and doing things that no one else does," Machida said later. (Fackler, Martin. "A Gamble on L.C.D. TV's Meant Survival for Sharp." The New York Times. March 22, 2006. Second: Ford's gamble on the Taurus. Facing possible bankruptcy in the early 1980s, Ford pulled its designers, engineers, and marketing staff into a secret group collectively called "Team Taurus." Ford was relying on the Taurus, a futuristic-looking car for its time (1985) to save the company -- and it did. By 1989 Ford had sold a million. And the company was solvent again. "...why do I talk about the benefits of failure? Simply because failure meant a stripping away of the inessential. I stopped pretending to myself that I was anything other than what I was, and began to direct all my energy into finishing the only work that mattered to me. Had I really succeeded at anything else, I might never have found the determination to succeed in the one arena I believed I truly belonged. I was set free, because my greatest fear had been realised, and I was still alive, and I still had a daughter whom I adored, and I had an old typewriter and a big idea. And so rock bottom became the solid foundation on which I rebuilt my life." 3. Nothing focuses the mind like failure. Failure revitalizes leaders -- it gives us a kick in the pants and says, "do something, now!" It is often when everything has gone awry that writers, scientists, business leaders, politicians feel liberated to do their most creative work. No one can truly be creative when everything is going fine. It just seems too risky, at a time like that, to rock the boat. But when you have lost everything, literally everything, and there is nothing else to lose -- well, necessity IS the mother of invention. I don't believe it's just the necessity of doing something in order to survive that brings about the creativity that leads to invention, though. Ironically, success itself can be bad for us -- it blocks our creativity by making us think that we should do more of the same -- more of what brought that success about in the first place. When you have nothing left to lose, then you are free -- free to try that secret, wildly creative idea that you always wanted to try but could never take a chance on risking everything for -- until finally, everything was gone. 4. Finally, and most importantly, nothing builds future leaders like failure. As Rowlings comments later in the same commencement speech I've quoted above, failure shows us what we've got in us. It shows us that we are strong enough to withstand adversity and creative enough to find a way out of it. Those times when an organization has just gone through a failure, or appears about to go through one, are the times when that organization needs stellar leadership the most. At times like that, we need leaders who have experienced adversity -- leaders who have hit rock bottom and found out what they were really made of. Overcoming adversity builds confidence, yes, but that's a cliché too. It isn't just about the confidence. It's that bouncing back from failure calls on us to develop a whole set of skills that leaders need: survival skills, the ability to see a way out of a hole, the ability to shepherd our resources while we hunker down for the next try. Street skills. Look at it this way. Failure has the ability to take a spoiled (or at least never tested) recent college graduate and turn him (or her) into Indiana Jones. Failure is the flame that tempers the blade of the sword. Without tempering, the sword is too soft to withstand a real fight. Think about it. Working with self storage users all over the United States, Tim Eyre helps customers store their stuff in places like Chicago self storage facilities and North Fort Myers self storage locations. In his spare time, Tim likes to get outside for a game of basketball or a round of golf. Like Rocky Balboa would say, its about how hard you can get hit and keep moving forward. That's how winning is done. Kudos to Tim for an excellent article; looks like we have a budding blogger on our hands! I agree that we can learn from *anyone* and it's often those unexpected sources that give us the biggest "aha!"